Did you know that the average size of a UK bathroom is just 3×2 metres? To be honest I can believe that, living in an old Victorian house with a very small bathroom! So when the gorgeous and quite luxurious bathroom store C.P. Hart got in touch and suggested I might like to take part in their competition to design a small bathroom layout I thought it was a great idea. Bathrooms are one of the hardest rooms in the house to get right I think, and need a lot of thought particularly if they are small. Having redesigned our bathroom several years ago in order to modernise it and make the best use of the available space, I like to think I’m aware of a few of the tricks that can be used. So here is my design, laid out on a Polyvore board to give you an idea of how it could look. If you’re not familiar with Polyvore and think it could be useful for your own home decor designs, then do check out my Polyvore tutorial for more information. The main things I’ve focused on are about maximising space as well as creating the illusion of space. 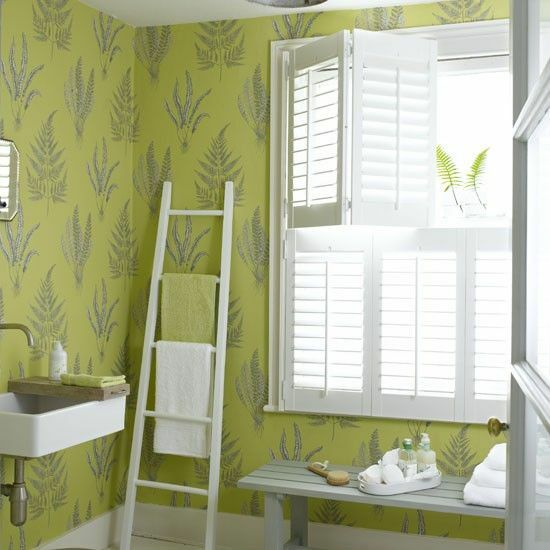 Now quite controversially I’ve added some wallpaper from Harlequin in a beautiful chartreuse, large leaf print. I wanted the room to have a warm, organic Bamboo feel and a large print in a small room can make it feel bigger, as long as it’s not too fussy. If the wallpaper is near water at all you can protect it with clear sheeting. In terms of the bathroom fittings, I realise I could have opted for more of a wet room look, but this isn’t always great for families so instead I’ve gone for a wall hung, compact loo, a wall mounted washbowl (on a storage unit) with a small bath along one long wall. As you can see I’ve chosen fittings with a soft, organic shape that helps to accentuate the natural bamboo feel. It’s important to go for wall hung, and compact fittings. Allowing the eye to see more of the floor space will help the room look more spacious than it actually is. Then if you need to use the space under the sink for example, for extra storage, you can. 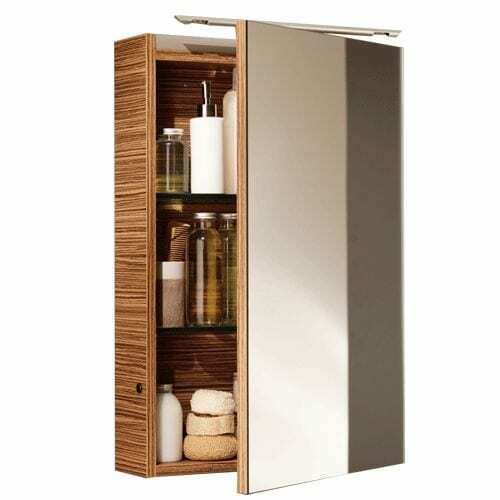 Finally, the Bamboo range at John Lewis is ideal for this look in my small bathroom design. A bath rack for bathing accessories, a soap and toothbrush holder for next to the sink, and a lovely bamboo bath mat completes the look. What do you think of this design? Do you think wallpaper is too impractical? Could you see this working in a small bathroom? This is an entry into the C.P. Hart Competition to design the layout for a small 3×2 metre bathroom. You can see more of this design on my Pinterest board, specifically put together for the competition. I have been coveting those towels since we saw them at the Ideal Home Show! Great tips and I love the look!